THE ALUMNAE ASSOCIATION ADDRESS IS PO BOX 805, BROOMALL, PA 19008. Alumnae Association: The Alumnae Board is comprised of representatives from various classes. We meet on the 2nd Sunday of each month from September through May. The Board would like to expand and welcomes any graduate who would like to join. Our By-Laws allow for up to 6 members from each class. If you are interested, please contact Pat McLaughlin on 610-544-0708 or send an email via this website, admin@westcatholicgirlsalumnae.com We look forward to hearing from you. 2019 Annual Spring Luncheon and Fundraiser…. Our annual Spring Luncheon will be held April 14, 2019 at the Porch at Lamb Tavern, 865 W. Springfield Rd, Springfield, PA 19064. There will be raffles for baskets donated by our Alumnae board members and door prizes. We will again have our chance drive for mini vacations in Sea Isle City and Townsend Inlet. Chances were mailed with the Spring Harvester and will be available at the luncheon. All proceeds from the chances go to the Scholarship Fund for deserving West Catholic Prep female students. This year’s co-chairs Lucille Madalion, ’68 and Peggy Ford Rhoades, ’71 have chosen a theme of “Music of Our Lives” with a DJ playing tunes from our past. If you haven’t gotten your ticket, mail a check for $35.00 payable to WCGAA to Lucille Madalion, 5 Eldon Ave, Lansdowne, Pa 1950 along with your meal choice of Chicken Florentine or Crab Cakes by April 5, 2019. West Catholic Prep will again have a Night at the Phillies. This year’s game with the Washington Nationals will be on Friday night, July 12, 2019. Game starts at 6:05PM with fireworks after the game.Tickets can be purchased on line on the West Catholic Prep website, www.westcatholic.org or directly from the Phillies site, www.phillies.com/westcatholicprep. Tickets for Sections 108-110 are $40.00, Section 208 are $30.00 and Section 308 are $20.00. Congratulations to Maria DiStefano Petolicchio, Class of 1962 on receiving the Margaret Porter Blue and Gold Award at the Alumni Communion Breakfast on April 29, 2018. Maria was recognized for her years of dedication and tireless hard work in support of both the Alumnae Association and WCP. In her thank you speech, Maria expressed her love of art and contributed her knowledge to Mother Mary Alacoque, SHCJ, who she said taught her all she knows about art. She also thanked her “mentor” Margaret Porter, ’40 and fellow board member Kathleen Fahey, ’48 for all their help and guidance over the years. Thank You Maria for all you do for our Alma Mater. 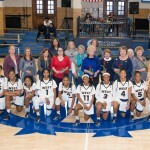 Alumnae Appreciation Day…The West Girls’ Basketball Team, “The Lady Burrs”, held an Alumnae Appreciation Day on Sunday, January 27, 2019 in conjunction with their game against Central Bucks West. The team won by 63-58. At half time all Alumnae in attendance were recognized by the team, each lady was presented with a red rose by a member of the team. After the game a reception was held for all Alumnae in attendance. Thank you and congratulations to the team, the coaches, and the Administration at WCP. 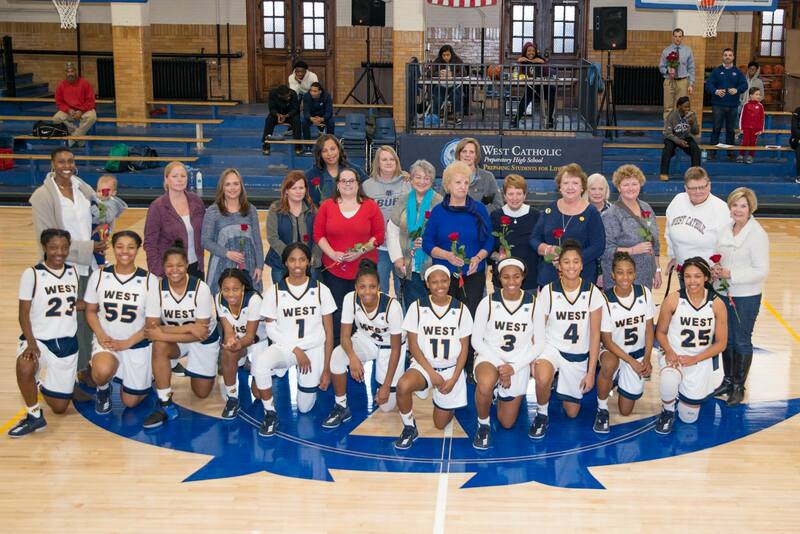 Pictures from the day were posted on the West Catholic Alums Facebook page by Tom McGinn. 2018 Annual Alumnae Communion Breakfast: Our 90th Annual Communion Breakfast was held on Sunday, October 28, 2018 at Drexelbrook , 4700 Drexelbrook Drive, Drexel Hill, PA 19026. The mass was celebrated by Father Joseph Meehan. Anne Datte provided the music for the mass. The mass and luncheon were well attended with over 165 in attendance. We were fortunate to have several guests join us, Paul Colistra, WCP President, Kelly Lanza, Principal of WCP, Andrew Brady, Vice President of Institutional Advancement and Brother Richard Kestler, FSC former President of West. Thank you and congratulations to our co-chairs, Rosalie Dugan McNeff, ’61 and Mary Maguin Small, ’60 and also to Sr. Denise Ware, SFCC, ’70 for developing and providing the program for the mass. CONGRATULATIONS to our three chance ticket winners. Nancy McAneny Pomilo, Class of 1963 held the $1,000 1st prize winning ticket, 2nd prize winning ticket of $500 went to Regina Carcanague Brady, Class of 1956 and 3rd prize winning ticket of $300 went to Edna Lockwood Hneleski. 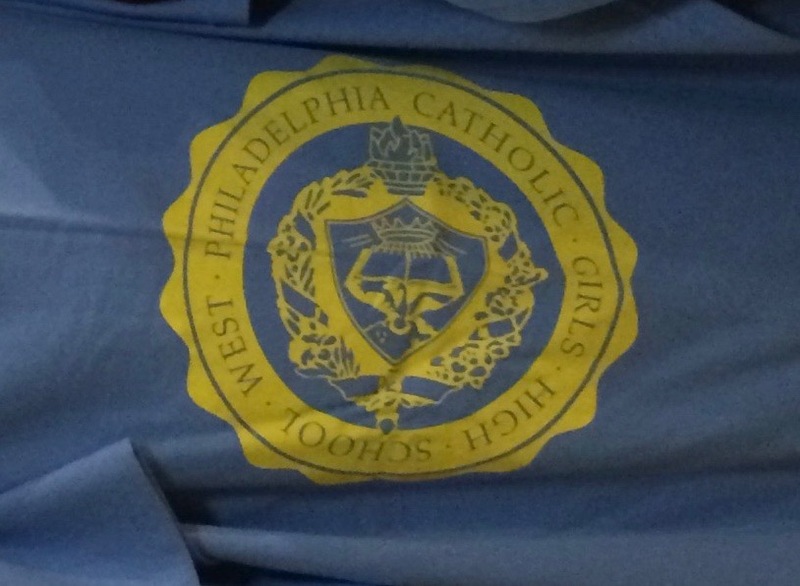 Original West Girls’ Seal…We have located and purchased the original drawing of our school seal. 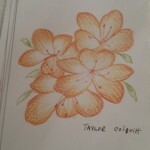 Thanks to Hannah Dougherty Campbell, ’69 for locating this on Ebay. The drawing of the seal along with the original envelope post marked 1930 and addressed to Rev. Burns, the first principal of the school was placed on Ebay after it was found in a box of papers purchased at an auction in Lancaster. It is a mystery who had it and how it left the school. The seal has been framed and presented to the school, where it will be displayed. 1936 HOW and WHAT Handbook…This book was also found on Ebay. It appears to be a handbook for new students on how to find their way around the building and also what is expected of them as students. Our popular West Catholic bracelets are back in stock. 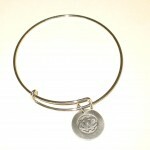 The bracelets are $12.00 and $4.00 postage. 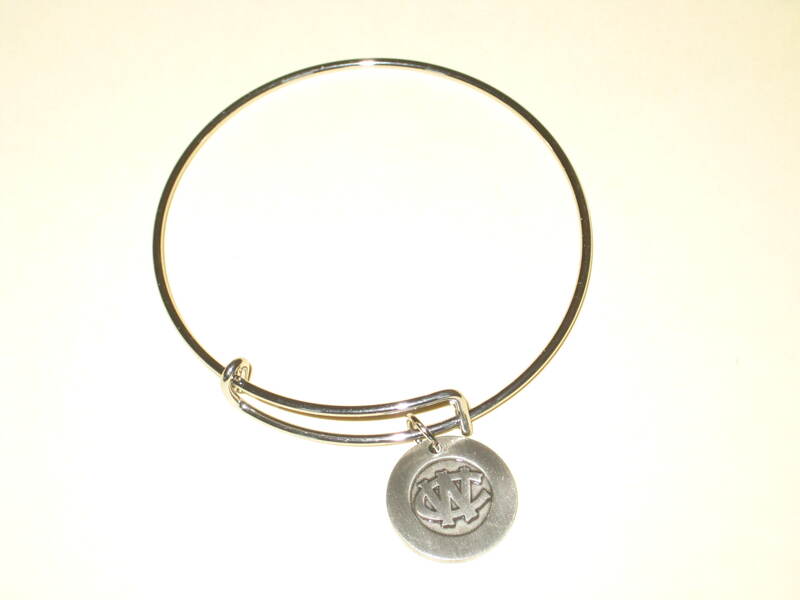 To order your bracelet, send your check made payable to WCGAA to Mrs. Rosalie McNeff, 5 Park Ave, Norwood PA 19074. Rosalie can be reached on 610-532-1827 or 484-467-0918. Her email is mcneffr@yahoo.com. The bracelets are presently SOLD OUT. 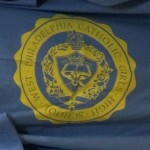 We have added another item to our West Catholic Alumnae store. 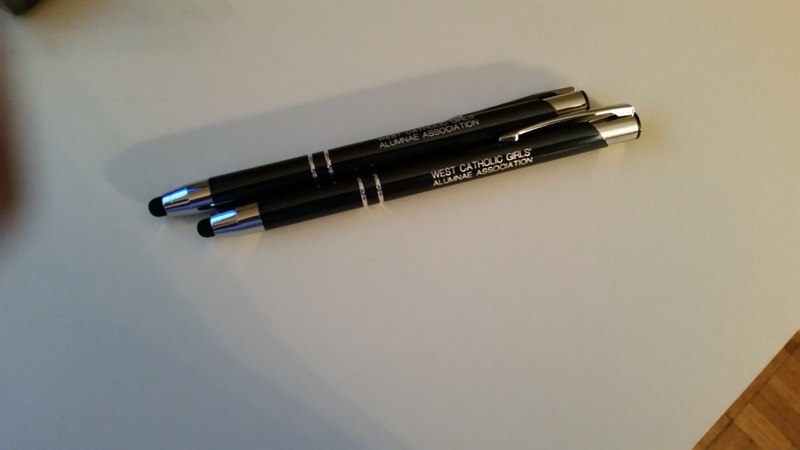 We now have pens with WEST CATHOLIC GIRLS’ ALUMNAE ASSOCIATION imprinted on them. 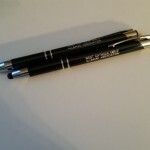 The pens are blue metal and are a combination ball point pen and stylus. They are $3.00 each or 2 for $5.00. Postage is $4.00. 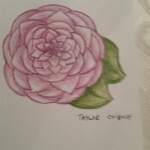 The pens can also be ordered from Rose McNeff, see her information above. These are just 2 of the note cards designed by the Art Students at WCP, They have designed 6 note cards that are available for sale. The cost is $5.00 plus $4.00 postage. 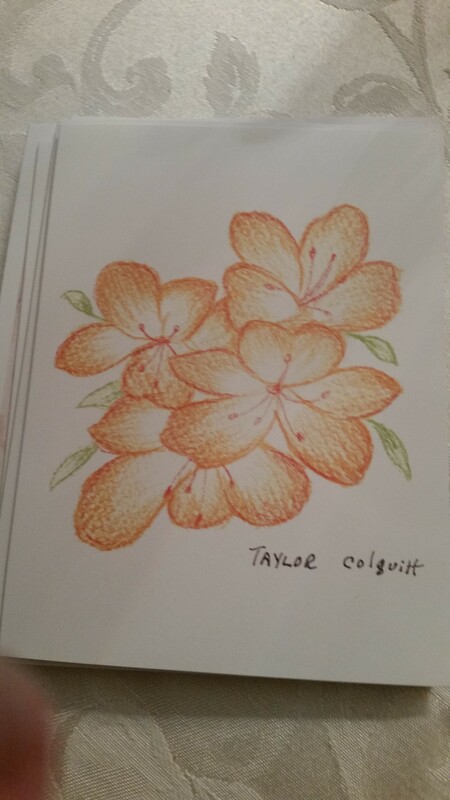 Each pack contains 6 cards, each card is a different design and the cards are blank on the inside. 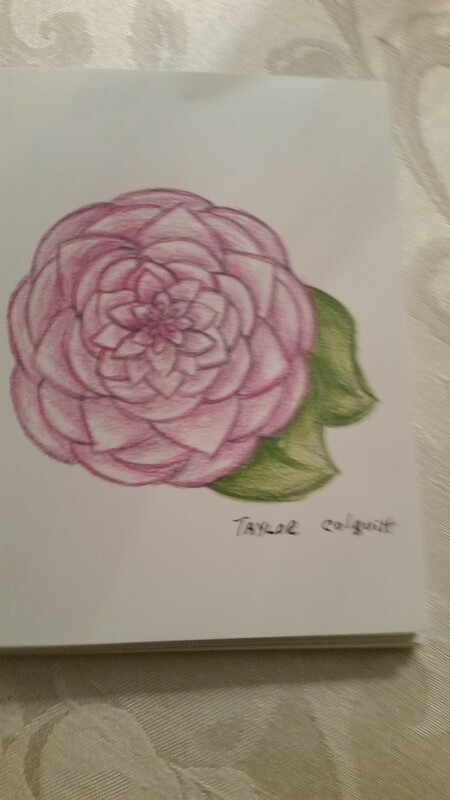 The back of the card is marked “Created by West Catholic Prep Students”. To order send a check for $9.00 (includes $4.00 postage) to Mrs. Rosalie McNeff, 5 Park Ave, Norwood, PA 19074. 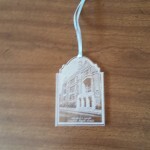 Our latest gift item is a clear Lucite ornament with a picture of the school and engraved with the words, “West Catholic Girls High School”. 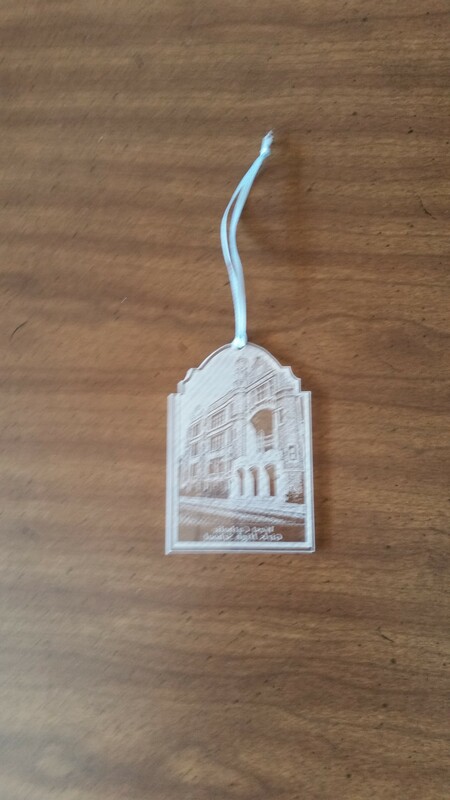 The ornament is $10.00 and can be ordered by sending a check for $14.00 (includes $4.00 shipping cost) to Mrs. Rosalie McNeff, 5 Park Ave, Norwood, PA 19074. Blankets/ Throws…Our newest item is a blue blanket with our seal in gold in the center. This versatile item can be used as a beach blanket or a throw for over a chair, back of the sofa, on the bed, or in the car. The cost is $20.00 plus $8.00 shipping. To order send a check for $28.00 (includes shipping) made payable to WCGAA to Mrs. Rosalie McNeff, 5 Park Ave, Norwood, PA 19074. All of the above items are sold at all West Girls’ Alumnae events.